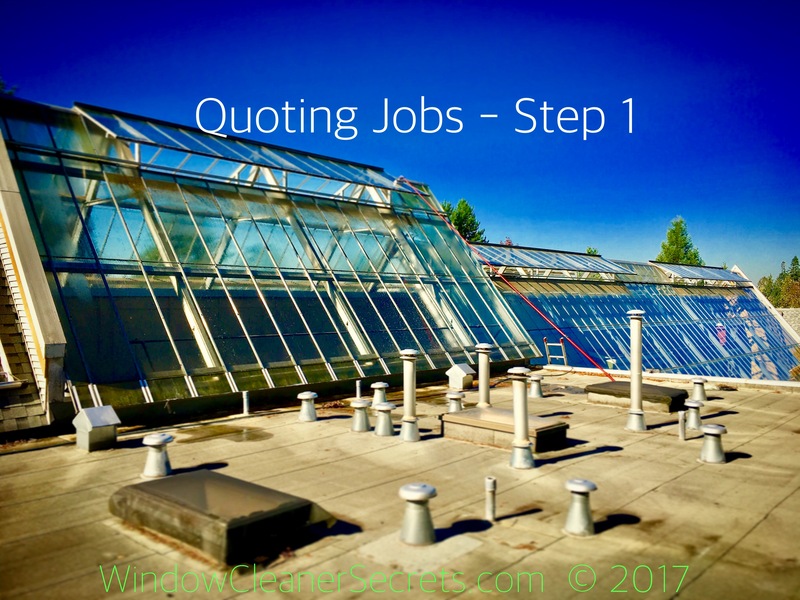 This is part 1 of a 3 part series on ‘How to Quote Jobs’ for your window cleaning service business. I would highly recommend adding a quote request form to your website that potential customers can fill out. Be sure it sends you an email every time someone fills out a request. To learn how to create an estimate request form for your website, you can watch the video in this article: How to attract customers to your business. Which services have they requested a quote for? Knowing as many details as possible about the job will help you with providing them a more accurate quote. Now that you have the address and services the client wants a quote for, you have to determine what price you are going to quote for each service they want done. Be sure to get the full street address from people who want a quote. The rare person will not want to share their full address and I can understand that. When that’s the case, I let them know that I won’t be able to provide them with a quote without their actual address. Sometimes they will give it to me and sometimes they will not. Either way it’s not a problem. Once you have the address, you will have a better idea of the demographics of the neighbourhood, the height and scope of the job. How high is the job? Can you access all of the areas you’re quoting to clean, such as windows, the gutters, roof, etc? Do you have all the ladders and safety equipment necessary to safely reach all areas? Now that you have all of this information, the next step is to prepare a quote for your potential client. Like this article? Please like, share, and/or comment.